Hey, Phoenix! I am going to be at you this weekend! 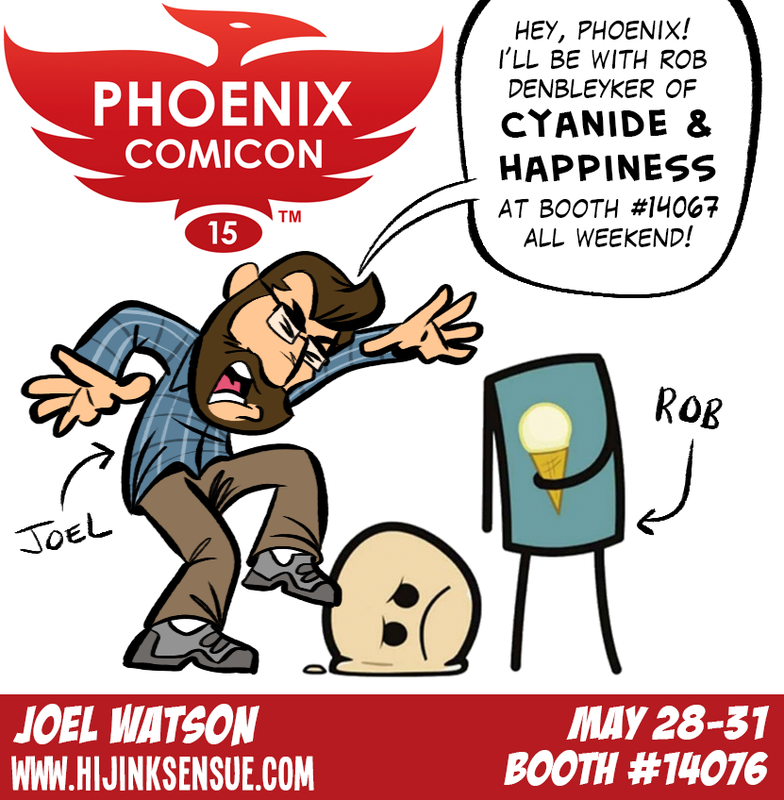 I’ll be with Rob Denbleyker at the Cyanide & Happiness booth (#14076) from Thursday to Sunday (May 28-31). I’ll have HijiNKS ENSUE and FANEURYSM prints for sale, and Rob and I will be doing C&H sketches all weekend. Hope to see you there! Stay tuned for a link and details. Posted in Comic Blog and tagged appearances, conventions, news, phoenix comicon.